If you know where to look, you can buy anything on Etsy. 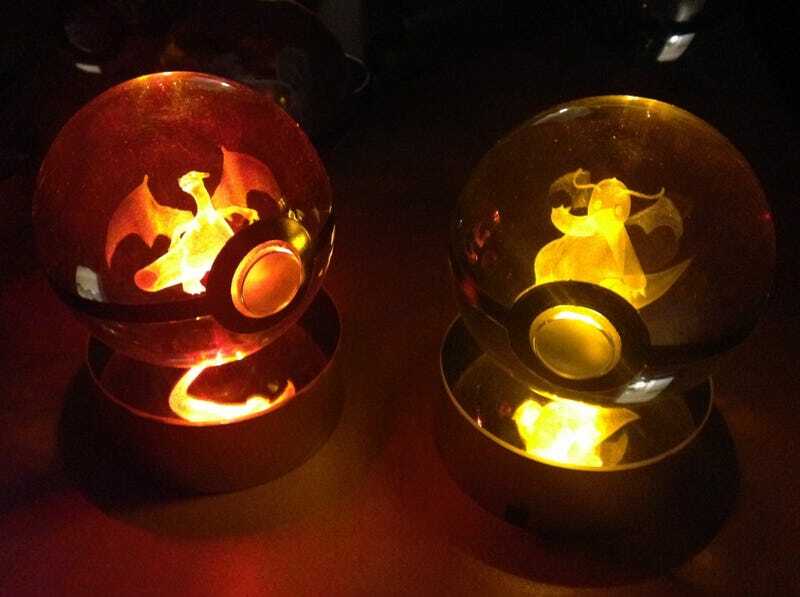 And, yes, “anything” apparently sometimes includes Poke Balls made of crystal with pokemon laser-carved into them. Each Poke ball is made of a high grade k9 crystal the same material used in high end home decor. The crystal is carved into a 80mm diameter (baseball size) ball and has fine point 3d laser engraving done to it. Using the latest in 3d engraving technologies we burn the image straight into the crystal. This laser is 5 times more precise than traditional 3d engraving to offer amazing detail and realism to each Pokemon. We then hand press a flat glass button to offer a protruding effect to the ball and then hand paint black rings to offer more depth and detail to the poke ball. OK! Let’s gaze at the Poke Balls.